What a horrible year for beans it has been. Just when the red scarlet runner beans were about to “do their thang” they got scorched by multiple 100+ days in a row, and then the hurricane shook them to their deaths. Then finally we got some green beans growing and everything is going great, then frost his early this year and boom they’re done. Today we ripped out the green beans which were sad times. 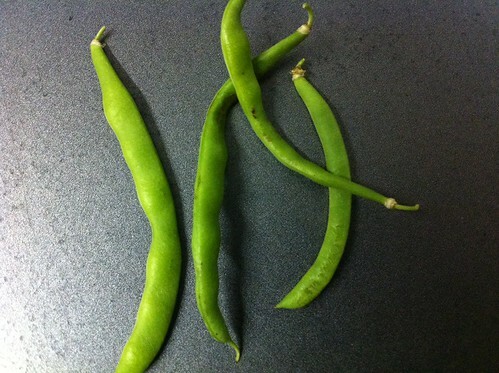 We did find on them though 4 lovely beans that grew before frost hit. We will enjoy these 4 beans and eat them very slowly. Next year – beans and beyond!